If you have no disabilities, you may not have given much thought to the financial, psychological and emotional ramifications of not being able to do things that perfectly healthy people do automatically. If you look physically healthy, you may not have any awareness of the painful discrimination in all areas of life that people with disabilities live with on a daily basis. Imagine yourself in a wheelchair trying to negotiate a steep curb, trying to enter a building or some form of transportation, or attempting to enter a bathroom that fails to accommodate you. Aside from these and countless similar situations being inconvenient, they are very disempowering. They send the message that you’re not a worthy human being. People with intellectual disabilities also suffer similar types of discrimination on a daily basis. Their challenges are different, but they too are treated in ways that are very shaming and disempowering. I’m one of many people living with hidden disabilities. Because I look perfectly healthy, people sometimes make shaming remarks when I tell them I won’t have the energy to attend their event or party, that I can’t eat in many restaurants, that I need someone else to move a chair or lift an object, or that none of their chairs support my back. Thanks to the many non-profit organizations around the United States that are dedicated to serving people with all types of disabilities, people who in past times were left behind to waste away are now given the type of support that can help them live full and productive lives. Whether their disability is the result of a traumatic accident, a stroke, a neurodegenerative disease, a genetic condition present since birth, a debilitating medical condition that has developed, or some other cause, there are non-profit community organizations available to help. Volunteers from these organizations drive people to appointments or shopping when they can no longer drive, and in some cases, can’t take public transportation. They also deliver meals, make home repairs or modifications, advise those in their care on various matters and provide several types of advocacy. They offer various types of independent living skills training, counselling, and group support, besides arranging employment opportunities that are appropriate for various levels of disability, and providing many additional services. To assist persons with all types of disabilities to achieve their maximum level of sustainable independence as contributing, responsible and equal participants in society. Below is an explication of the MCIL mission statement, which is congruent with the mission of hundreds of other non-profit community organizations that exist to make life better for people living with any type of disability. To assist doesn’t necessarily mean to take care of. What we refer to as government assistance, most commonly known as public assistance, refers to providing money, food, shelter and other basic needs. This form of assistance, although it’s most efficacious when used to help people get back on their feet in acute situations, and is essential in order to prevent people from dying in the streets, isn’t the type of assistance that catalyzes self-efficacy. In the long term, people don’t thrive when they’re dependent on assistance. Public assistance is anathema to people living with disabilities. Disabilities are chronic conditions that don’t have to prevent people from living full, productive lives. People with disabilities don’t want to be dependent on others to do things for them—they want what we all want—to be self-sufficient and to be able to live with a sense of mastery and dignity. The best form of assistance engenders self-efficacy—the confidence that we can set and accomplish goals and master everyday tasks. 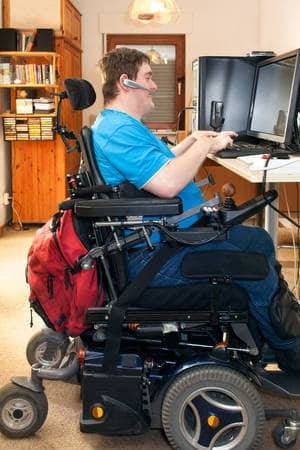 The type of assistance offered by the independent living centres (nationwide) and many other non-profit community organizations such as California-based Lifehouse, Opportunity for Independence, LaChris Connection, Designing Accessible Communities, and others throughout the country serves to catalyze self-efficacy and mastery by removing barriers and providing the type of support to people with all types of disabilities that can help them live full and productive lives. The need to work towards achieving our goals is universal, as setting goals and then working towards accomplishing them helps make life worthwhile. Goals can be related to work, athletic endeavours, gardening, learning a new skill, resolving a contentious relationship, or finding a way to more effectively manage activities of everyday living. Research psychologist Mihály Csikszentmihalyi’s concept of flow has now been proven, within many studies, to contribute to a meaningful life. Flow is a very healthy state, wherein we feel challenged at our ability level. If we set goals that we can achieve without feeling challenged, there’s no state of flow and little satisfaction. Conversely, if we set goals that are so challenging that we are simply not able to achieve them, again, there is no state of flow and only frustration. Unfortunately, you can’t achieve goals when barriers prevent you from getting in the door. Worse than that, certain barriers prevent people with disabilities from even setting goals in the first place. In order to set goals, we need to have hope that we can accomplish those goals. 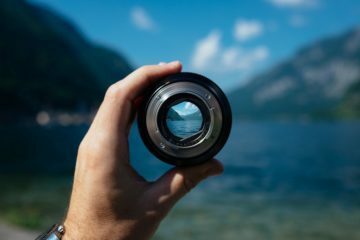 A common experience for most of us is that of being unable to achieve a certain goal and then having to reassess our capabilities and set different goals. This is part of life. But when we can’t see any hope of achieving a goal due to a barrier to our success, which could easily be removed with the support of others, it’s to everyone’s benefit to do everything possible to remove that barrier, because barriers destroy lives and prevent otherwise productive people from being able to be responsible, contributing participants in society. Examples of barriers include steps that prevent anyone in a wheelchair, walker, or scooter, or even someone using a cane, from gaining access to a building or a method of transportation. Another type of barrier involves employment discrimination. When employers see a physically disabled person, they often assume that person is unlikely to be a productive worker, or they may conclude that it wouldn’t be worth it for them to make the necessary accommodations to meet that potential employee’s needs. However, there are many people who, despite blindness, deafness, and other serious physical disabilities, are very productive workers. Similarly, employees with intellectual disabilities can be very loyal workers, yet, again, employers typically don’t want to take the risk. 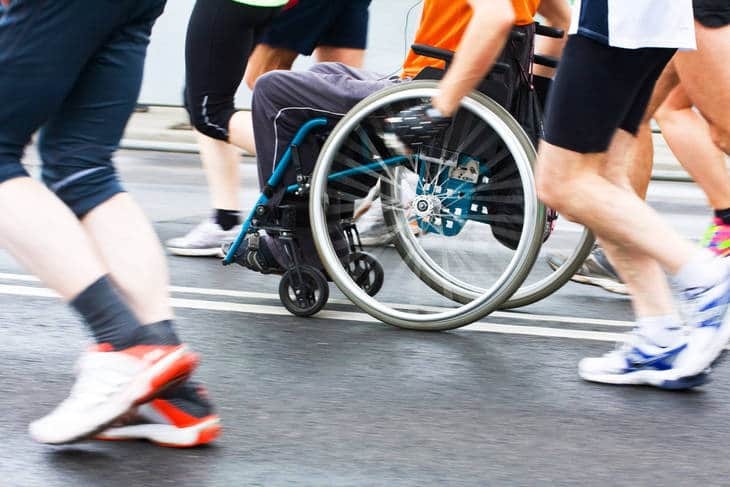 It’s not important for people with disabilities to be able to compete with other people as much as it’s important that they live life to the fullest with their disability. What matters most is that each individual, regardless of disability, is able to reach their maximum level of achievement and independence, given their specific circumstances. Part of being human is the need to test ourselves to see what we can do. This is why some people become star athletes, and many world-class athletes are paraplegic. Paraplegics ski; play lacrosse, rugby and basketball; compete in Ironman events; and participate in countless other sports. Even those living with quadriplegia can live a full life. Although they can’t participate in athletics, new technology does allow them to communicate effectively, be creative, compete within the job market and earn a living. They do need the assistance of others in order to reach their maximum level of independence and achievement, given their physical limitations. Those who live with an intellectual disability can also be assisted to reach their maximum level of achievement and independence. Therefore, they too can find meaning and purpose in life and develop loving relationships. Sustainable independence provides a sense of life mastery, regardless of the nature of the disability. When people are assisted in ways that lead to the acquisition of new skills and the removal of barriers, they tend to develop a sense of hope, optimism, and self-efficacy, and a desire to set and work towards goals. This is a healthy path that allows them to sustain their independence, because they are able to see open doors and opportunities, rather than barriers. There’s an expression that states, “It’s better to teach people to fish than to just give them a fish.” When we assist people with disabilities in such a way as to help them sustain their independence, we create a happier, more connected and productive society. Public assistance is essential to help people get back on their feet, but that type of assistance, by itself, does not always lead to optimism, hope and a sense of well-being. In a number of epidemiological studies in which the researchers controlled for all possible confounding variables, those individuals who actively contributed to the improvement of other people’s lives, in some way, had lower rates of morbidity and mortality. Those who helped others were happier and healthier than those who avoided formal volunteer work, or who tended to never extend a helping hand to anyone. Think about a time you failed to help someone in need; how did you feel? Now, think of a time you went out of your way to help someone; how did you feel then? The reason that people who do volunteer work are happier and healthier than those who avoid helping others is easily understood when you consider how different you feel (physically and emotionally) when you reach out to help, vs. when you reject an opportunity to help. People with disabilities have fewer opportunities to help others, but with support, almost all of them can find some way to serve others in need, and thereby experience the same benefits that are available to the rest of us. The very best way to help others is to help them find a way to serve others. Reaching out to help others may be the most effective way to build self-efficacy, self-esteem and mastery. When people are responsible for a child, an elderly or sick parent or spouse, or anyone else, they tend to feel better about themselves. Nurses and doctors thrive on being responsible for their patients. Psychotherapists and most people in the helping professions thrive on being responsible for their clients. Military leaders often go through personal growth experiences while they are responsible for all those under their command. When people with disabilities don’t get to have responsible jobs or positions in society, they miss out on many opportunities to develop self-efficacy. It’s extremely difficult to feel good about yourself when all decisions are made for you and everything is done for you. 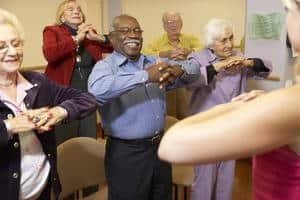 There was a wonderful study by Dr. Ellen Langer in which her team divided nursing home residents into two groups. Half the residents were given a plant and told that they were not responsible for it, as someone else would come in to their room each day to water it. The other half of the residents were told that they were fully responsible for the care of their own plants. After six months, the residents who were told they were responsible had lower rates of morbidity and mortality. In the corporate world, it’s commonly known that attractive, tall people tend to get promoted more often than short or homely people. People in wheelchairs usually find themselves having conversations with people who tower over them, and many people actually ignore them. This is extremely disempowering. Part of being human involves a need to be treated fairly, and as an equal, by others. There have been some indigenous cultures in which the punishment for a crime was that everyone in the community would stop speaking to that individual, and that individual would no longer be allowed to participate in any community activities. Consistently, the person accused of the crime died within roughly 30 days. We all need to participate in society in order to live full, productive and happy lives. People who retire from a long career and isolate themselves, no longer participating in productive activities of some sort with others, tend to die within a couple of years of their retirement. When we assist others so that they may pursue their goals, people who may otherwise be a drain on society are able to contribute to it instead. By providing social services, we ensure that more people can enter the workforce and achieve their maximum level of sustainable independence as contributing, responsible and equal societal participants. According to the United Nations, people living with disabilities make up the largest minority group in the world and account for roughly 10 percent of the world’s population. If we add in those living with hidden disabilities, the figure is considerably higher. Just for economic reasons alone, doesn’t it make sense to help disabled people become contributing, responsible and equal participants in the society in which we all live? If you want to pay lower taxes, support the programs that empower people and provide them with the skills and opportunities to work and to contribute to society. Think back to how you felt the last time you thought that you had nothing of value to contribute. Next, recall how you felt the last time you were appreciated, or simply felt proud of some contribution you made that helped make life better for others. In the first instance, you most likely experienced some sort of somatic distress, such as fatigue or sadness. In the second instance, you probably felt a great sense of satisfaction and may have felt more connected to others. Any time you feel good about yourself, your physiological functioning improves—sometimes enough to contribute to improved health. My dream is to live in a global village where people recognize that when we help those with disabilities develop the confidence and skills they need to contribute to society, we create a society that we all want to live in. A mind-body medicine researcher with personal experience living with chronic medical conditions, Dr. Larry Berkelhammer teaches about the connections between the mind and health, with an emphasis on growth practices most strongly associated with better health outcomes. He is the author of In Your Own Hands: New Hope for People with Chronic Medical Conditions.